The Airbus A330 expereicned directional control problems on landing and temporarily departed the paved runway surface on landing. 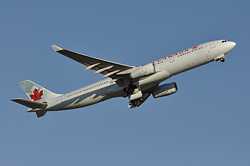 After an apparent normal touchdown on runway 24R at E. Trudeau International Airport, Montreal, Canada, the aircraft eventually veered off to the left side until its left maingear tyres ran over soft ground for about 150 meters. 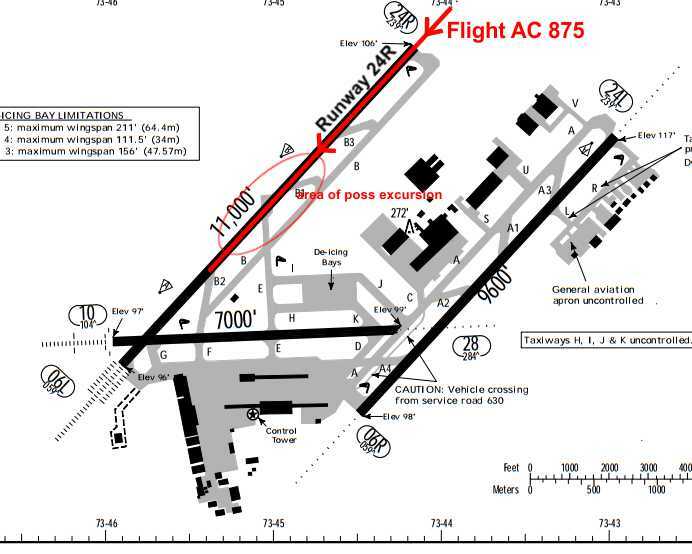 The pilots managed to steer back onto the runway where the aircraft came to a safe stop. No one inside the aircraft was harmed. It is reported the aircraft lost one wheel on the left maingear before it came to rest on the runway. A number of runway edge lights also took damage. The aircraft was able to taxi off the runway and proceeded to its parking stand under own power. Local weather at the time consisted of calm winds but in light rain and minor thunderstorm activity. Canadian Transportation Safety Board officials launched an investigation into the occurence.